If you enjoy a thicker density of vapor when you are vaping, then going for aspire bvc atomizers is a good idea. Aspires new and improved BVC single vertical coil design generates a higher amount of vapor since with new vertical design. 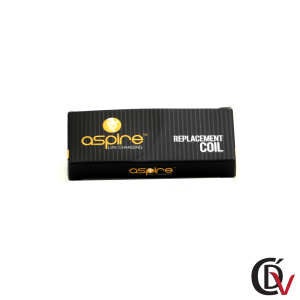 Though a single aspire bvc atomizers or bdc dual coil device basically do the same thing, the aspire bvc coils are the newest coil design from aspire. 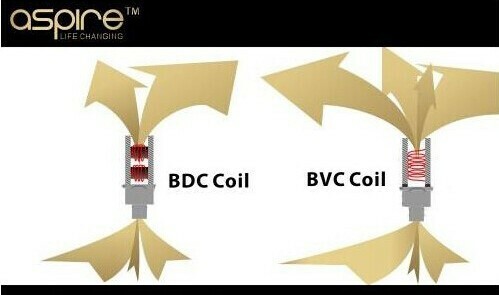 The BVC coil allows more air flow and life expectancy, coil has improved greatly. If you are someone who is just starting to try e-cigarettes, you may have a difficult time constructing a dual coil device as compared to constructing a single-coil device. The good news is that you can purchase an Aspire BVC Atomizers that is already pre-constructed from e-cigarette stores like Café de Vapor. 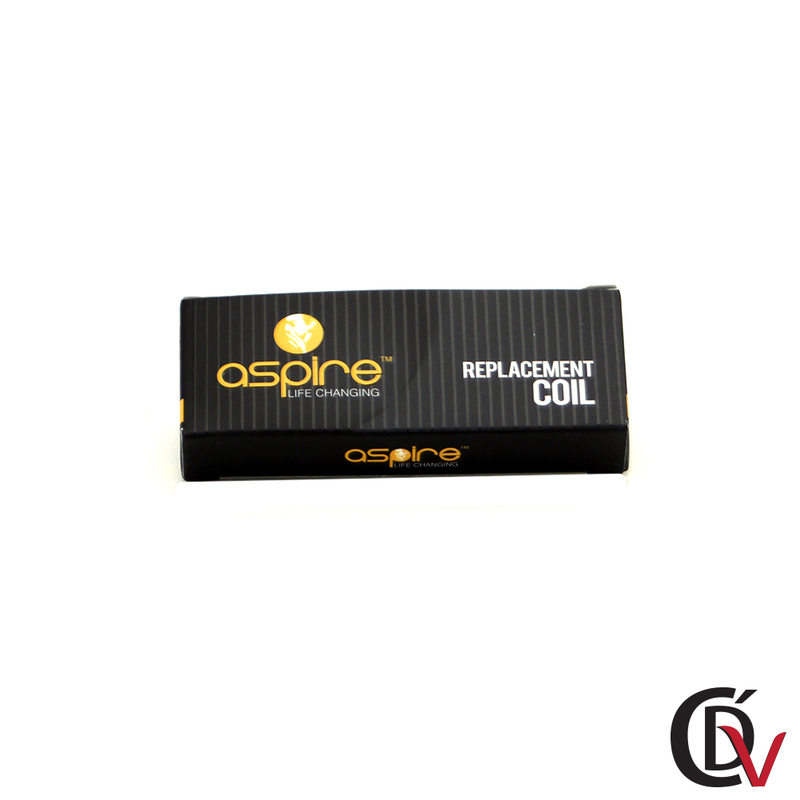 These are 100% Genuine Aspire BVC Replacement Heating Coils for use in The ET, ETS, CE5, Maxi, Vivi Nova, T3. The Chart Below show Recommended Voltage Based on The Heating Coils resistance. Copyright 2013-2014 Café De Vapor | All Rights Reserved | Powered by DDC | NOT FOR SALE TO MINORS | CALIFORNIA PROPOSITION 65 - Warning: This product contains nicotine, a chemical known to the state of California to cause birth defects or other reproductive harm. Electronic cigarettes are not a smoking cessation product, nor are they intended to treat, prevent or cure any disease or condition.